Don’t worry. They will both be back for season 6 of Dexter as the odd sibling pair we so dearly love. However, the actors who portray them have filed for divorce. Michael and Jennifer, who wed in Dec 2008, are calling the split amicable and have reportedly been split up for an unspecified amount of time. 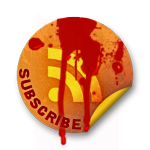 One can only assume they wanted to wait until the season finale to make the official announcement. Jennifer Carpenter and Michael C. Hall are calling it quits. The Dexter stars, who play brother and sister on the Showtime series, are ending their two-year marriage, their reps tell Entertainment Weekly. 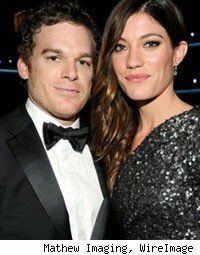 “Having been separated for some time, Jennifer Carpenter and Michael C. Hall have filed for divorce,” the reps say in a joint statement.